Messenger’s surveys and forms tool lets you create and send mobile optimised web surveys, complete with a range of data capture tools. Like mobile web pages, surveys can be sent using a short link within your text message, so they are easily accessible by anyone with a smartphone. 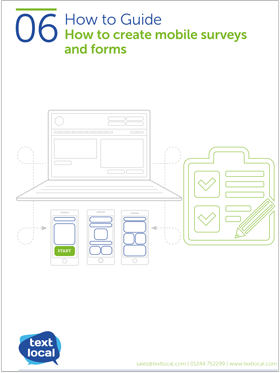 Mobile forms can be a simplified version of a desktop web form, without the distraction of adverts and promotions, or a completely different version with a simpler and cleaner interface. Want to insert a survey or form into one of your messages?